HSSC Group D exam is taking place today i.e 17th November 2018. The HSSC Group D exam schedule is going to be conducted in 2 shifts from 10:30 to 12:00PM and from 3:00PM to 4:30PM. 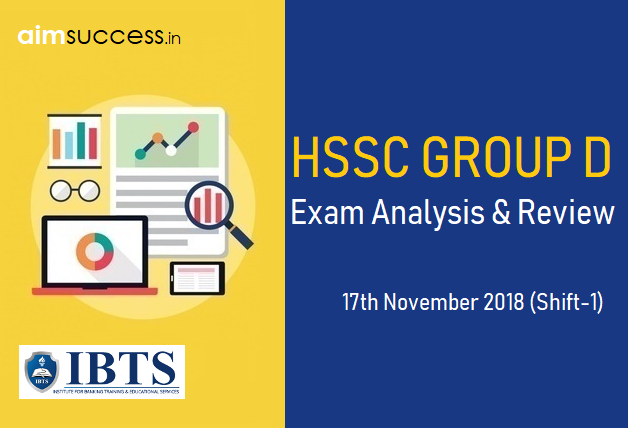 Read this article about HSSC Group D Analysis 17th November 2018 with questions asked. This article about the HSSC Group D Analysis 17th November 2018 will help you analyse your paper. History, Current Affairs, Literature, Geography, Civics, Economics, Culture, etc. of Haryana 25% Easy To be updated.